Find out how to use Memsource 6.0 and it's new TransPDF facility to translate a PDF. 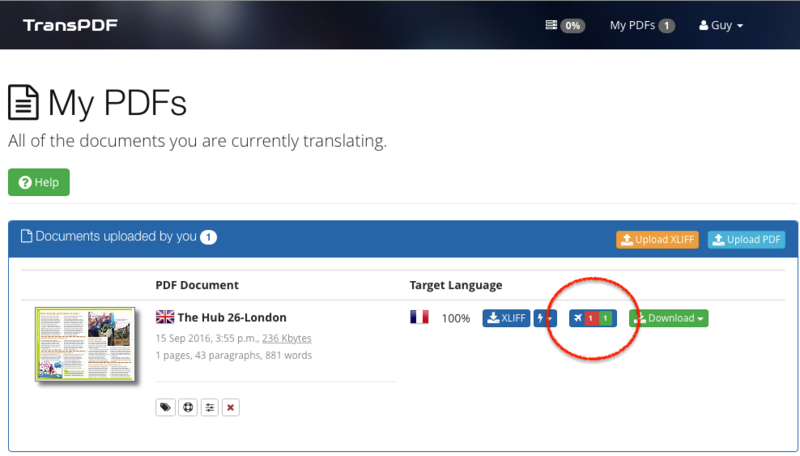 Using TransPDF with your PDF translation jobs will save you a huge amount of time. It does most of the de-hyphenation, layout and text styling for you. All you may need to do is a bit of tidy up using the free version of Infix PDF Editor at then end. If you haven't done so already, create a free Transpdf account. You will need to enter your email address and a password. Back in Memsource, click on Setup in the top right-corner of the page. If your browser window is not very wide, the menu will look like the familiar menu button . Scroll down (near the bottom) to the Integrations section and click on the TransPDF link. Enter the email address and password you used when you created your TransPDF account then press Save. If you have only ever used your ProZ.com login to access TransPDF, you may not yet have a TransPDF password. If you can't log-in, click on the Forgot password link to reset your password. Create a translation project as normal then add a PDF to it. Choose the correct import filter. After browsing for a PDF to add as the New Job, you need to set the File Import Settings. Scroll to the bottom of the screen, click on the PDF section and choose TransPDF. Wait for a little while...then start translating. You should see a spinning icon while Memsource asks TransPDF to convert the PDF into XLIFF. Once the conversion has been done you can click on your PDF to start translation. If you get an error at this point, check to see if your username/password are correct. Remember your TransPDF username will be an email address and not necessarily the same as your Memsource username. When you want to see the progress of your PDF translation choose Document->Preview Translation from the Memsource menu bar. After a short delay your web browser should download the PDF. 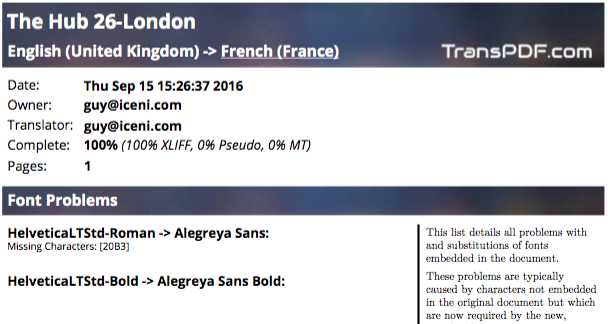 The preview has a cover page showing any font problems found with the PDF. These occur when your translated text includes characters not present in the original PDF. TransPDF will try to use alternative fonts but sometimes there is no obvious alternative. When this happens, the missing characters will appear in red in the preview. Open a new web browser window, login to TransPDF.com and you will see a list of PDFs you have uploaded included those sent by Memsource. Font problems show up like 2 1 which means there are 2 font issues that need to be fixed and 1 already fixed. Fixing font problems is quick and easy and the system learns so that you shouldn't need to do it very often. Click on the numbers to go to the next screen then read the step by step guide to fixing font problems. The Completed File downloaded from your Memsource account is the final PDF. It is subject to payment therefore you should make a final check of your translation using the free PDF previews before downloading your completed PDF. 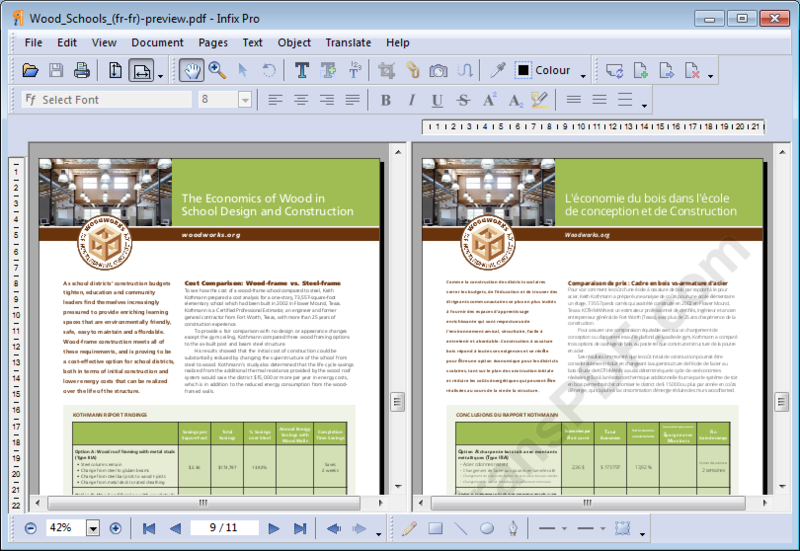 The best way to get the completed PDF is to drag & drop the preview PDF onto the free trial version of Infix PDF Editor (download available here). The editor is free of charge when used on PDFs from TransPDF. Then choose Translate->Download Final PDF and Infix will get the completed PDF from TransPDF. If needed, you can then resize some text boxes and move things around in order to make it look its best. You can even compare the translation to the original side-by-side while you work on it.